Although steel entry doors are still the number one selling material, Fiberglass doors have increased significantly in popularity. This can be attributed to the developing technologies that greatly enhance the strength of fiberglass. Provia has created the Embarq fiberglass entry door that adds strength and energy efficiency over many other doors on the market. 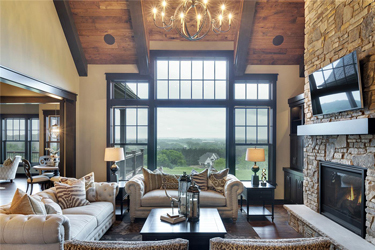 If you feel that your home needs an update or you are considering a home renovation, replacing your windows may be the facelift your home needs to bring it up to date. 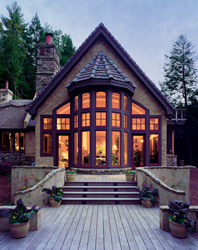 Windows can add intrigue and style to your home without committing to a complete home renovation. New home renovations have made a push for a focus on natural light. When sunlight can enter your home, it is amazing how much larger and cleaner your home can feel. Some people are ditching the double hung on the rear of their house and placing a patio door while others are installing Bay windows in their living rooms. There are many options to be had. Current trends have seen homeowners take a proactive approach to energy efficiency and for good reasons, too. Increasing the efficiency of your home is good for the environment, enhances the quality of life (we’ve all heard “keep the A/C in the house!”), and ultimately, saves money in the long run. The Genesee Brew House underwent renovations in 2013. Along with the Windows and Doors, Rochester Colonial also outfitted the Brew House with the fixed awnings in the front as well as the large awning on the second floor balcony.